When it comes to best Android Emulator for PC, Bluestacks is the King. Bluestacks has been the recommended Android Emulator since it’s launch. Because of its compatibility, Efficiency and frequent update. Bluestacks let us Play Android games on PC and the best emulator to run any Android apps on PC. But we are not using it’s all hidden features and not getting maximum profit from Bluestacks. To use all of it’s hidden features and functions we have to root Bluestacks App Player. To do so I have shared 5 Best Actionable Methods on How to Root Bluestacks. It will work with all the version such as Bluestacks 2 & Bluestacks 3. Bluestacks is one of the best Android emulators that let you use Android games and Android apps on your PC. It’s like a virtual box where we can run or experience other operating systems. It saves our time and also we can save some money. You can use the Bluestacks App Player on your Windows and Mac operating systems. It also supports Gaming consoles which is the best part that I like. You can also assign and map keys of your controller. It provides an amazing gaming experience on a bigger screen than Smartphone. There are more than one ways to root Blustacks. So, I am going to share 5 Methods to root Bluestacks on PC. This will work with almost every version of Bluestacks. Bluestacks 2 or Bluestacks 3 follows the same procedure for rooting. 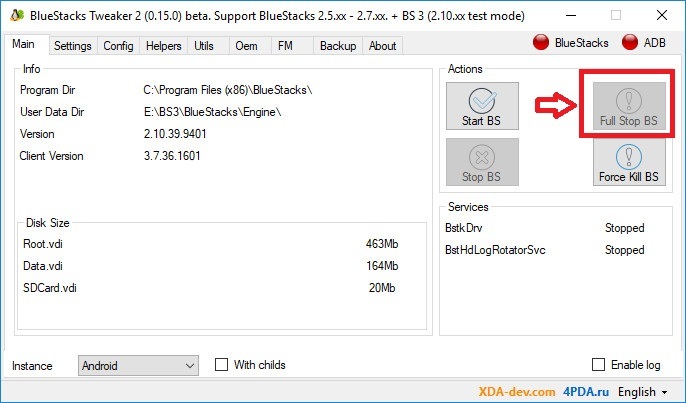 While Bluestacks 3 have more methods than Bluestacks 2 for Rooting. Moving to our first method on How to Root Bluestacks. Bluestacks Tweaker is a Bluestacks oriented software which is used for patches and tweaks, it is also called as BS Tweaker. Other than tweaks it also provides the option to Root Bluestacks. This is a very common and easy method to Root Bluestacks and so I want you to try this method at first. It will work with Bluestacks 2 and Bluestacks 3 App Player. Bluestacks App Player should be installed on your PC. 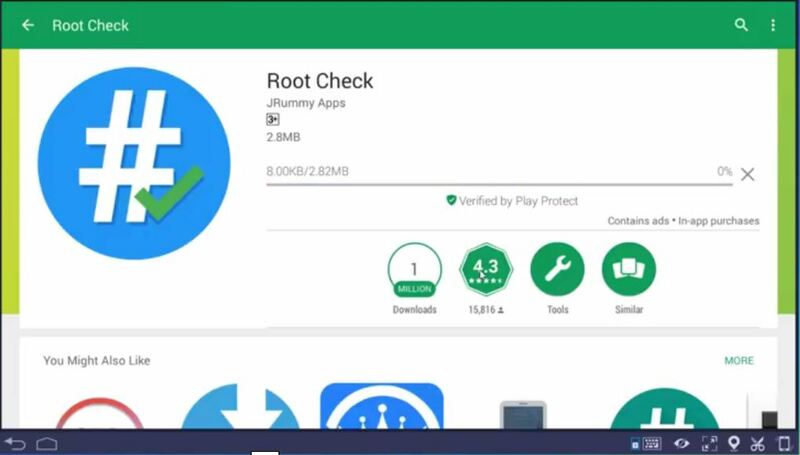 Install Root Checker App on Bluestacks App Player to check if your device is rooted or not. Download Latest version of BS Tweaker software (BS Tweaker 4). Now unzip the downloaded file (Tools to unzip files). Then open the BlueStacksTweker.exe file (as an administrator). You don’t need to install BlueStacksTweaker, it will directly open on double-click. After opening Bluestackstweaker click on Full Stop BS which is available under the Main Section/Tab. After closing Bluestacks, Open Helpers Section/Tab. 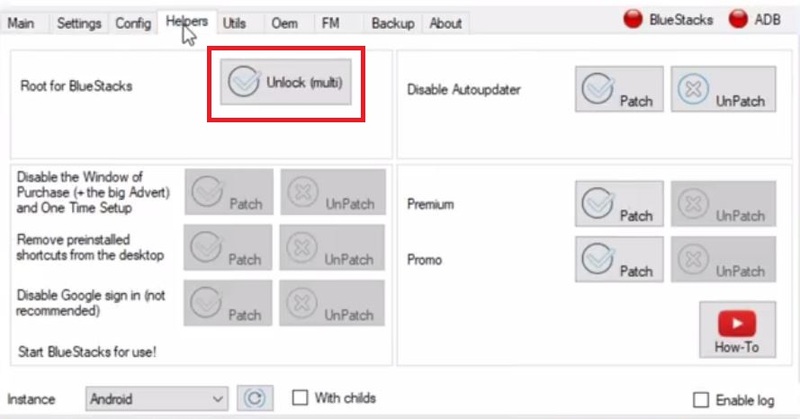 Then click on Unlock (Multi) which is at front of option Root for Bluestacks. Now go back to Main Section/Tab click on Open BS. 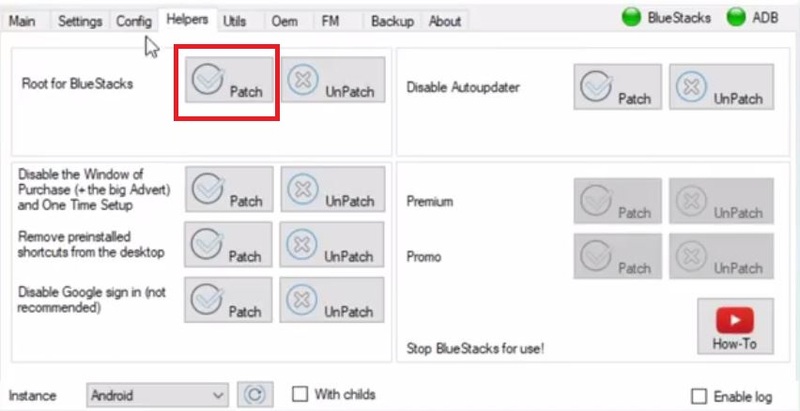 Then again go back to Helpers Section/Tab and Click on Patch which is at front of option Root for Bluestacks. After this, your Bluestacks is Rooted. Now go to Root Checker and Check it. If you have tried this method on How to Root Bluestacks and it didn’t work then follow other methods. Or if you want you can give it a second try. KingRoot is a tool available for Android which is commonly used to Root any Android Device. And as we know Bluestacks is an Android Emulator and it actually works as Android OS. So, in this case, KingRoot is able to Root Bluestacks easily. KingRoot is also known as One Click Root. This is a very simple procedure to Root Bluestacks App Player. But it also doesn’t have a full chance to Root the device. It is an effective method on How to Root Bluestacks. At first Download KingRoot APK on PC from their KingRoot official site (Link). Then open KingRoot APK via Blustacks and install it. After complete installation, open Bluestacks App player. Now from the App list open KingRoot App and run it. In Kingroot App Tap on Fix Now or Try to Root and wait for sometime. After a few minutes a green tick will appear with Root successfully written below it. Your Bluestacks is now successfully rooted and ready for use. You can now open Root Checkerandcheckthe Root Status. Note:- If the Green tick doesn’t come on the first try or it says fail to root. Try it for 2-3 times, sometimes it works in multiple attempts. KingRoot method is the fastest way to root Bluestacks, But it doesn’t work for everyone. So for luck, we can try it, it would be good if it worked on the first try. Are you enjoying How to Root Bluestacks? If these two methods didn’t work for you, then don’t worry we have still 3 methods left. BS Helper is a tool which is similar to BS Tweaker software. 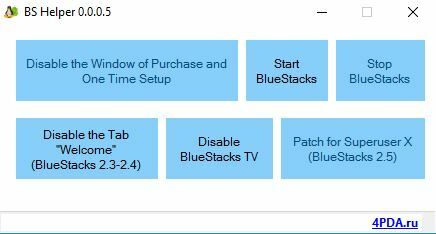 The BS Helper tool is a more easy way to root Bluestacks App player. BS Tweaker has its own advantage over BS Helper. Although you can go for any tool you want. This is another best and effective method on How to Root Bluestacks App Player on PC. So let’s see how to root Bluestacks easily within a minute. Download BS Helper tool from the Link. The download file is in zip format so unzip it. Now open BS Helper Tool.exe file. Run it as an Administrator if it asks. In BS Helper tool you will see few options about Bluestacks App Player. From options click on Patch for Superuser X which is at the last option in BS helper tool. After a few minutes, it will show the Root Success message. Now you are good to go. Open Bluestacks App player and check Root status. Enjoy the Advantage of Root. This was another easy method on How to Root Bluestacks. I hope till now you have rooted your Bluestacks, if not move to the next method. Yeah, you have read it correctly. You can download pre-rooted Bluestacks on your PC. What can be better than downloading the pre-rooted Bluestacks and doesn’t have to do much? But there is one issue with this method is that you will not get the latest version. So you have to use the older version which is not bad. It’s not that you have to use the too old version of Bluestacks. Always check for the latest pre-rooted Bluestacks on google. Download the latest Pre-rooted Bluestacks App Player on your desktop. Then install it according to the instructions provided by the site from where you have downloaded the file. Usually, it is like Run the downloaded Installer and wait. After installation, you can use the Rooted Bluestacks. Or If you have downloaded the full-size Bluestacks or Offline Installer. Then directly install it and use. Done now you can play Games and run Apps on Bluestacks. 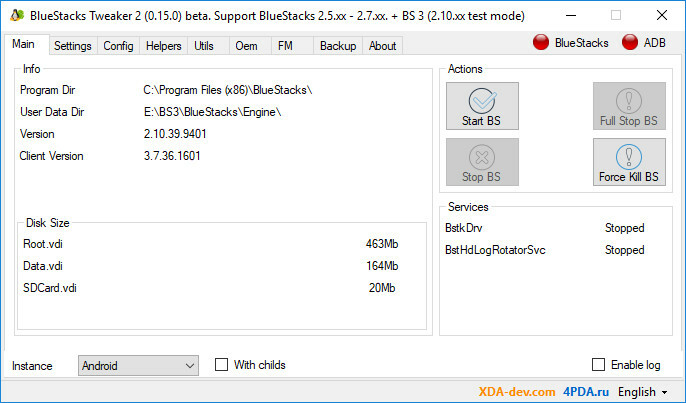 The Pre-rooted method on How to Root Bluestacks is effective. Because it also comes with advantages like prime APK’s, Launchers and much more interesting features. I will prefer one thing in this method is that always go for offline installer Bluestacks. Auto Rooter is a feature that comes with Bluestacks MultiTool Software. You can find the Bluestacks multitool on XDA forum. Other than Root feature the tool is loaded with various amazing features that we should try. 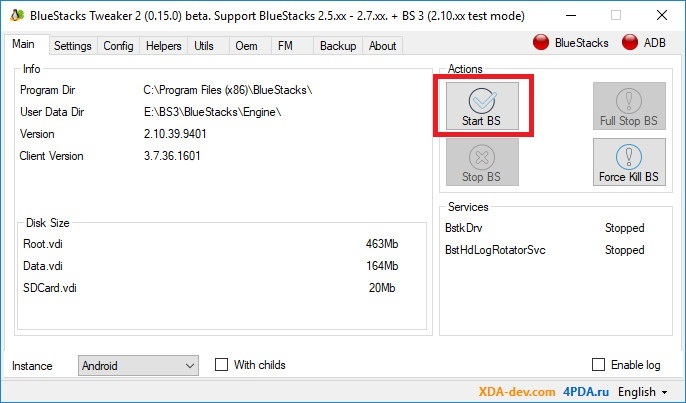 The tool is working only with Bluestacks Beta version so for this method on How to Root Bluestacks you need the Beta version. 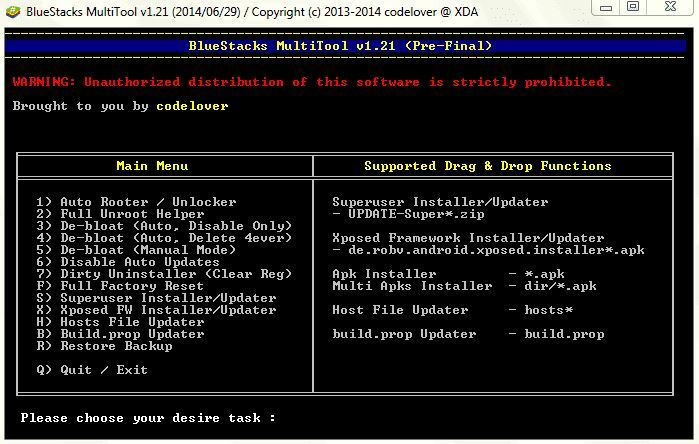 Download the Bluestacks MultiTool from XDA forum. Remeber it will work for Bluestacks Beta version so make sure that you are using Beta version. After downloading the MultiTool Run it. Now you will see a tool like CMD where you have to give input to perform operations on Bluestacks. For Rooting procedure type 1 and hit enter. That’s all now it will give the Success result. This was the last method on How to Root Bluestacks. So I hope that you have rooted your Bluestacks till now. And already enjoying the rooted features. So you are now at the end of How to Root Bluestacks Tutorial. And my final advice is to follow the methods from the start. It will help you if you are using the latest version, but if not you can use the last methods. 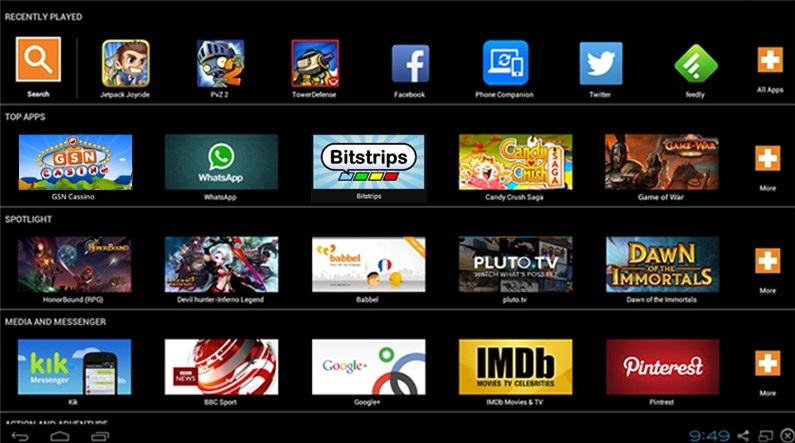 And if you want more method on How to root Bluestacks then you can reach out to us through facebook or comment. I wish to root my bluestacks on my PC but it is very tough to me. At last I find the great blog for rooting the bluestacks and I change it own by following the given tutorials.